In common with many geographical discoveries, Svalbard was also found by chance. The explorers had completely different goals. It was, however, no coincidence that the discovery was made by the Dutch or that it happened at the end of the 16th century. The Netherlands was at that time a great trading and seafaring nation. The country was in a state of rapid economic growth and was a leader in the fields of shipbuilding, seamanship and geography. 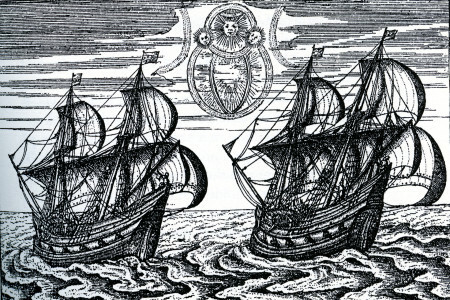 The Netherlands had active authorities and a wealthy merchant class who were able to equip expeditions to search the whole world to discover new markets and new opportunities. Since Spain and Portugal controlled the important southern sea routes to The East, the Dutch were concerned with finding a northerly sea route to these valuable markets – The Northeast Passage. In May 1596 two Dutch ships set sail from Amsterdam, heading northwards. Jan Cornelisz Rijp and Jacob van Heemskerck led the two ships. 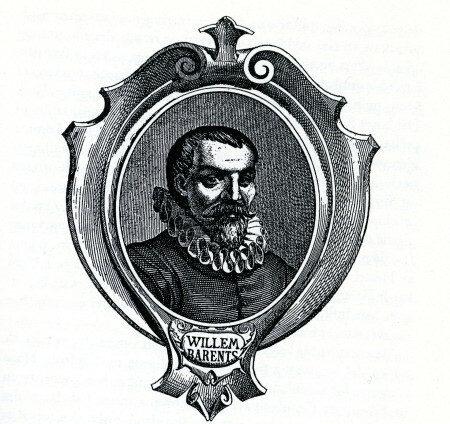 Willem Barentsz was the navigator on Heemskerck’s ship and the actual leader of the expedition. This was the third year in a row that Barentsz had searched for the Northeast Passage. In both 1594 and 1595 the expeditions had been stopped by ice in the Kara Sea, so this time they chose a route direct towards the North Pole. Already on June 5th the ships encountered drift ice. This forced them to take a more easterly course, and on June 10th Bjørnøya was discovered. The name – Beeren Eiland – was given after a long battle, in the sea, with a polar bear. The expedition continued north, encountered the edge of the ice and followed it towards the southeast. Then on June 17th they discovered a new land at approximately 80° north. They sailed south along the coast and described the land as ‘…nothing more than mountains and pointed peaks, therefore we called it Spitsbergen.’ This is the first confirmed description that we know of. The two ships returned to Bjørnøya, but here Rijp and Barentsz disagreed over their future course. 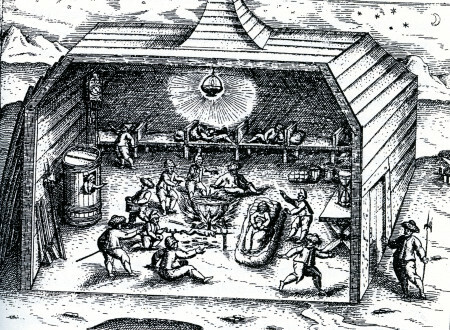 Barentsz sailed east towards Novaja Zemlja, where he had been in 1594. They were forced to spend the winter here, and Barentsz died. On October 29th 1597 Barentsz’ crew arrived back home in The Netherlands. They had not found the Northeast Passage, but brought with them a map of Barentsz’ discoveries from 1596. Besides which the dramatic overwintering and return journey was in itself a sensation. Never before had Europeans overwintered at as high latitude as 76° north. Almost three hundred years later the Norwegian Arctic Sea skipper, Elling Carlsen found Barentsz’ overwintering place. A number of objects from the expedition were well preserved under the layers of ice. Svalbard museum displays some of them here.